Warsaw, July 8, 2016, a sonorous spectacle overwhelms the everyday noises of the city. The piercing tones of sirens, accompanied by the rumble of fast-moving armoured cars passing by in procession, shift in frequency one after another, and gradually crossfade into the pulsating chopper sound of surveillance from the sky. The presence of the NATO Summit determines the atmosphere and affects daily rhythms with intensive dominance, as a storm that equalises our senses along with the city’s entire landscape. This process of privatisation and dispossession is intertwined with the rise of right-wing nationalism. The extreme right is gaining support by utilising anti-communist, anti-German and anti-Russian sentiments. In addition, it adapts highly conservative Christian principles of patriarchal power that legitimise the violation of women’s rights, by the prohibition of abortion, among others. Their political rhetoric amplifies fear and hate, xenophobia and racism. The deeply rooted tradition of patriotism is instrumentalised to encourage engagement in paramilitary training, in order to ‘strengthen’ the nation’s military force by developing a Territorial Defence component ‘with a target strength of 50,000 [paramilitary] soldiers, permanently linked to the local community and equipped with the most modern weaponry and working closely with operating forces’, as current defence minister Antoni Macierewicz announced. This component was conceptualised early in 2016 and included in the agreements at the NATO Summit in Warsaw, in order to reinforce the NATO Alliance’s ‘military capabilities’ to counter so-called ‘hybrid threats’. These complex interrelated processes exemplify the convolution of concentrated totalitarian power (fascism, Stalinism) and diffuse governance (neoliberalism) into integrated forms of spectacular power. How do these emerging agencies of oppressive power operate? How can we amplify resistance to their intensive territorialisation? Since the end of the Cold War, strategic leadership has shifted from static models to dynamic anticipation of the lived environment. The complexity of the world, the ‘unpredictable’ dynamics of power relations, appeared in military vocabulary as the VUCA era. This acronym stands for Volatility, Uncertainty, Complexity, Ambiguity, and stages the diffuse mode of spectacular power in order to maintain control within a non-linear environment. Adaptive tactics, based on these four principles, are applied most prominently in crisis management, which is one of the ‘essential core tasks and principles’ of NATO: it has a ‘robust set of political and military capabilities to address the full spectrum of crises – before, during and after conflict’. Correspondingly, global financial-crisis management manipulates economic crises and other disasters in order to redistribute wealth. The industrial mode of operation based on efficiency and expansion (scientific management, Fordism) is integrated with adaptive systems which function through intensive territorialisation. Intensive territories do not replace enclosures or borders, but rather restructure and reinforce them. While unbound information transference and global circulation expand and accelerate rapidly, territories become ever more bound, in constant need of intensified protection at their borders. Capitalist governing bodies, however, increasingly employ strategies of de-territorialisation and technologies of modulation to gain continuous control. These regulating authorities nonetheless evaluate property in terms of extent: capital accumulation requires measurement by division and therefore needs conversion from continuous flows to discrete numbers and vice versa. Conversion enables operation at the intersection of coding and decoding, of modulation and demodulation, of de-territorialisation and re-territorialisation. The aforementioned process of ‘reprivatisation’, for instance, is a concrete example in which this type of operation is employed. Modulation and conversion enable the centralisation of ubiquitous control. In other words, these processes allow for the concentration of power, whilst at the same time it remains diffuse. Their applications are numerous and can be interlinked. A concrete example of such an application is a filtering or search algorithm that directs attention, targets particular desires, and allows unnoticed censorship. Another example is the Global Positioning System (GPS) which enables real-time insight into geolocation, the exact (absolute or relative) position of individuals or objects. It is a ‘dual-use’ technology that enables everyday usage of locative media by citizens (the Internet of Things), as well as remote-controlled warfare and surveillance. In addition to this, the body’s senses are dislocated to external infrastructures, to technologies of mediation (modulation, conversion), incorporated into a centralised, dynamic social-control mechanism – based on the logic of amplification. These advanced technologies of amplification enable control over tendency masks that modulate the dynamic boundaries of social oscillation – the masking thresholds of modulation, the critical bands. The governance of technological advancement is therefore of primary importance to the development and maintenance of dynamic mechanisms of control. It operates through corporate lobbying in order to influence policy-making, or by selective financing and promotion, among others. Additionally, scientific research is increasingly employed to legitimise previously taken decisions or mask their impact: to manage crises. The rhythms that shape our relational comprehension of the environment we inhabit manifest themselves in architectures of socio-spatial processes, in which cues articulate social interactions, spatial relations and movements. For instance, the periodic ringing of church bells acts as a public reminder of quantised time, and the area of sound propagation marks the spatial boundaries of a territory. Additionally, they cue particular public actions, as distress signals generated by sirens or triggered by alarm systems prompt procedural reactions. Social cues are registered noises that constitute shared meanings and modulate interactions within context-dependent social dynamics. To make a pitch for sonic dominance, intensity control is the locus of affective modulation. Acoustic horizons are the ear’s appropriation of sound phenomena and the spatial interrelationships that compose a physical situation. In the domain of acoustic communication, intensification stresses the dynamics of interaction between the self and others. For instance, speech intonation affects the sonic quality of transmitted information and influences the intimacy in which the content is heard. The same message whispered in someone’s ear or shouted out from the rooftops sounds different and is perceived differently by the listener. In our built environment, the acoustic qualities of a space are designed according to its social function – think of a library space that imposes silence over any sound. This defines the politics of amplification that constitutes our acoustic horizons, and which is fundamental to any territorial (or socio-spatial) formation. Power relations composing our lived environment are hierarchically organised magnitudes of sound energy that function through vibrational dominance and the feedback of cultural significance. The culture of amplification goes hand in hand with the industrialisation of our intensive territories, in which technological transformations of physical information transference turn into everyday habits. Culture transmission has deviated from shared experiential knowledges, to become an auxiliary factor of economic production, and is therefore echoed in the prominent representative ego of material practice. As such, technologies of amplification can be used to intervene deliberately in (sonic) identity branding, musical expression and corresponding behaviour, and in their respective spaces of sound propagation. Authorities strengthen their position by privileging certain acoustic waves and prohibiting others, by restricting non-conventional (electro-) acoustic emissions. Public loudness, or perceived intensive territories, can be understood as tactical configurations of noises: a social battlefield controlled through sustaining social distortion and acoustic discrimination by amplification and masking. 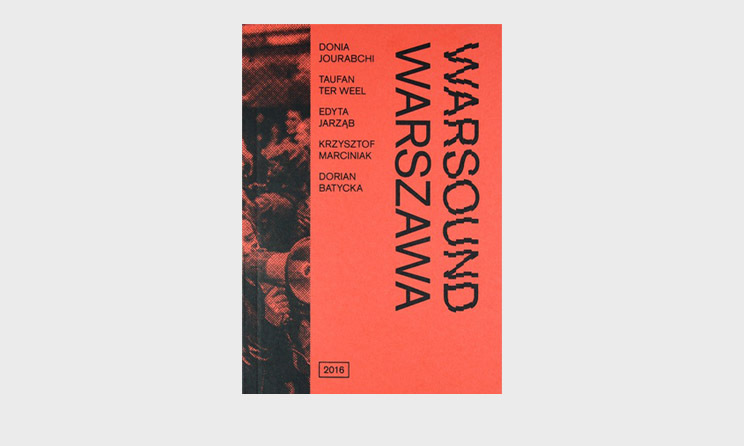 Loudness, affect and control, within the context of listening and sonic practices based on situated knowledges,  were the points of departure for a survey of political demonstrations which happened on a daily basis on the streets of Warsaw in 2016. These preoccupations, together with our common concerns about the aforementioned socio-political situation, led to broader questions about the role of sound in relation to the consolidation of power. The public demonstrations we took part in gave the general impression that these noises are solely tolerated under strict conditions of spatial configuration – the regulation of protest functions as a tendency mask that governs the release of pressure necessary to maintain authority. However, these mobilisations embody strong representational and affective powers as harbingers of social change – the amplification of a different voice to be heard, the sound of protest, will always remain relevant. Contrary to demonstrations, targeted public actions or interventions that seek to expose real information or social injustice are muted at any cost. These are a true disturbance to the contemporary agencies of integrated governance – to the global management of disinformation. In Poland, the spontaneous organisation of improvised social space is repressed: bound by abstract logic and encapsulated norms, without the space for motion. As such, legislation (e.g. planned new rules on public gatherings) becomes a conceptual trap that justifies the criminalisation and policing of communities. Likewise, ‘dual-use’ can become a strategic manoeuvre to impose silence: to marginalise, mask or mute grass-roots resistances, to dampen them culturally, or to designate them as objects of public fear. Legislation and policy create imaginary borders between people and groups; they can trigger polarisation, intentionally or otherwise. In order to interrupt these mechanisms of social disintegration, exclusion and dispossession, we may need to listen attentively to the leaking noises, and seek to expose the processes of conversion and modulation, where control operates and concentrates its power. The practice of improvisation allows for re-territorialisation, the establishing of intensive spaces of mutual inclusion which harbour the transformative power of everyday life: a common ground for social change through engagement in non-dualistic resistance. Culture is generated from within, resonating internally as well as propagating a sense of community. Aural knowledges are built through oral transmission, even when functioning via electroacoustic mediation. Comprehending the operating systems of mediation is therefore a critical factor in maintaining culture from within, whereby the key to self-control and independency is access to its operational core – source code, network nodes, physical infrastructure, i.e. the means of production. Lastly, it is the practice of listening that allows communication – the basis of community. Listening, by its nature, transcends mono-directional information transference and the mechanisms of exclusion: it enables mutual inclusion and grounds the amplification of resistance. Jacques Attali, Noise: The Political Economy of Music, trans. by Brian Massumi (Minneapolis: University of Minnesota Press, 2006 [1985, 1977]) p. 35. Kolektyw Syrena, ‘We are the city: Jola Brzeska: reprivatisation and the struggle for the right to the city in Warsaw, Poland’, BaBel2 – abitare critico / independent biennale of critical housing (Rome, 2012). Guy Debord, Comments on the Society of the Spectacle, trans. by Malcom Imrie (Paris: Editions Gerard Lebovici, 1988) pp. 3-4. James A. Lawrence & Earl N. Steck, Overview of Management Theory (Carlisle, Pennsylvania: U.S. Army War College, 1991). NATO Public Diplomacy Division, NATO Summit Guide, Warsaw 2016 (Brussels: NATO, 2016) pp. 300-301. See Gilles Deleuze, ‘Postscript on the Societies of Control’, October, 59 (1992), 3-7. For example, see Gilles Deleuze and Félix Guattari, A Thousand Plateaus: Capitalism and Schizophrenia, trans. by Brian Massumi (London: Continuum, 2004 ) pp. 230-255. For details on the development of acoustic weapons, see for instance Juliette Volcler, Extremely Loud: Sound as a Weapon (New York: The New Press, 2013 ). See Donna Haraway, ʻSituated Knowledges: The Science Question in Feminism and the Privilege of Partial Perspectiveʼ, Feminist Studies, 14: 3 (1988) 575-599.